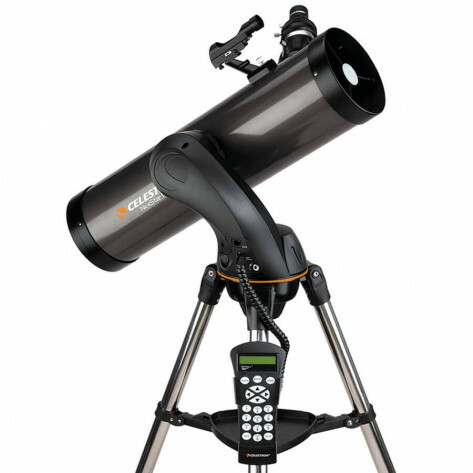 Celestron NexStar 130 SLT computerised telescope is one of the best telescopes for beginner astronomers. With SkyAlign technology you don't need to do anything to get going. 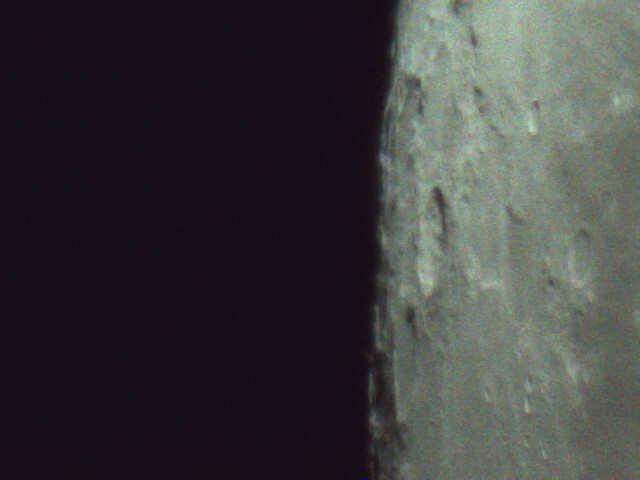 Capable of seeing craters on the Moon, rings of Saturn and Nebulae. 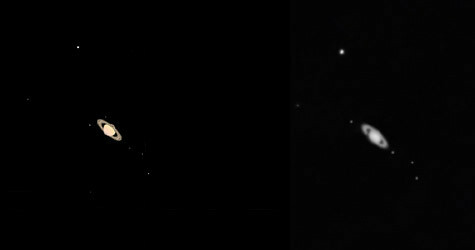 Includes database of over 4000 space objects for you to view. 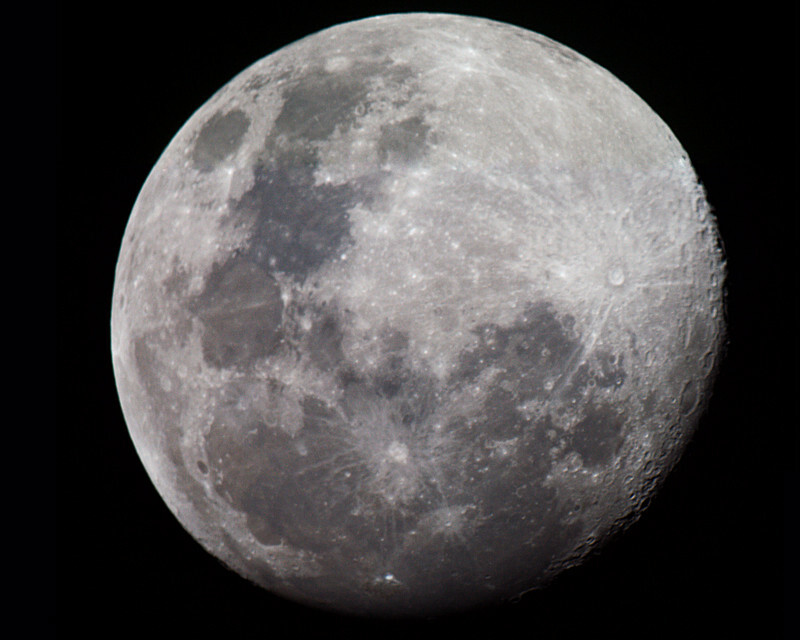 Can be used for Astrophotography. And the 130 SLT, like the other models in the SLT Series, comes with a fully computerized hand control. The computerized hand control gives you the ability to automatically slew to any of its 4,000+ objects, including over 600 galaxies, 300 clusters and dozens of beautiful binary stars. 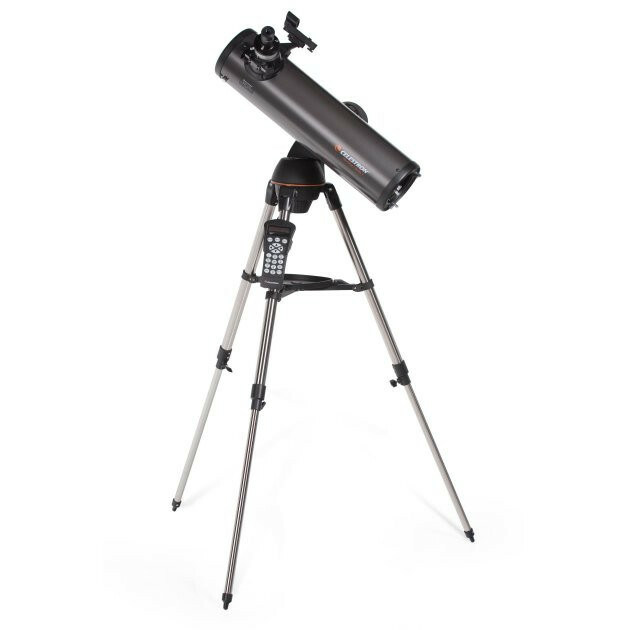 With its pre-assembled, adjustable steel tripod, the NexStar 130 SLT can be up and ready to use in a matter of minutes. Our new SkyAlign alignment technology and the included StarPointer Finderscope with a red LED, makes aligning a breeze. Celestron's NexStar 130 SLT comes with a Computerised Goto Mount featuring an internal battery compartment for power cord free operation. 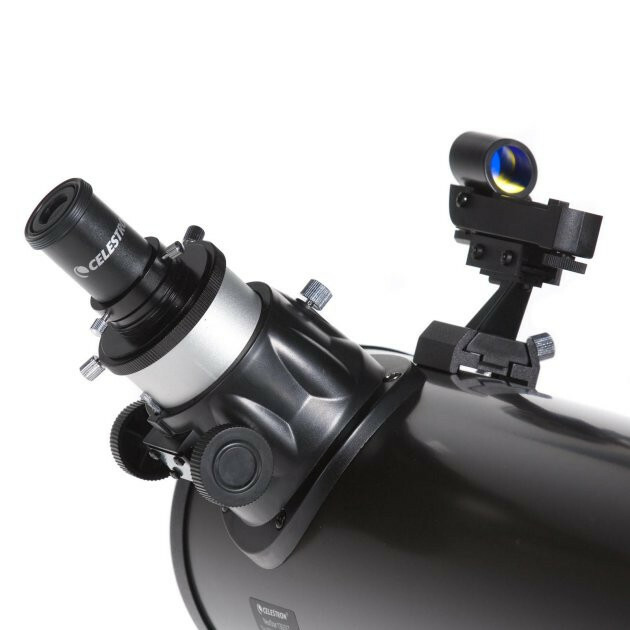 The mount has precision motors that give it superb accuracy and smoothness when tracking objects in the sky. 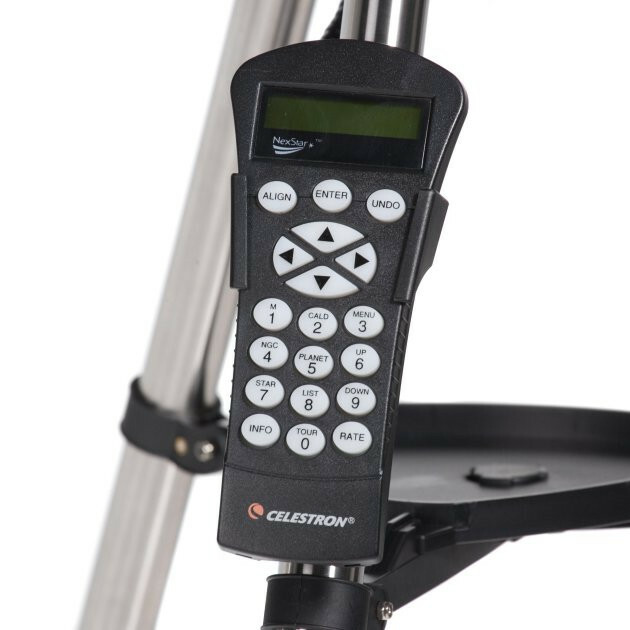 Included with the mount is the NexRemote hand control system with a database of over 4000 celestial objects. 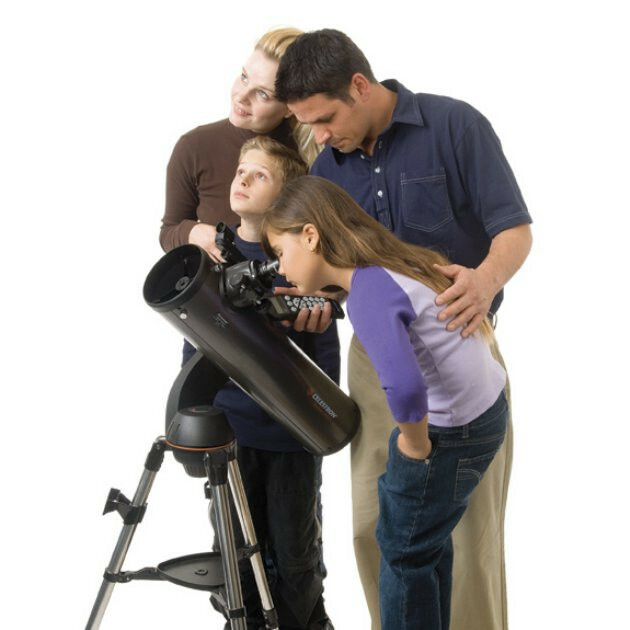 The SkyAlign feature allows you to automatically align the telescope by simply pushing a button. 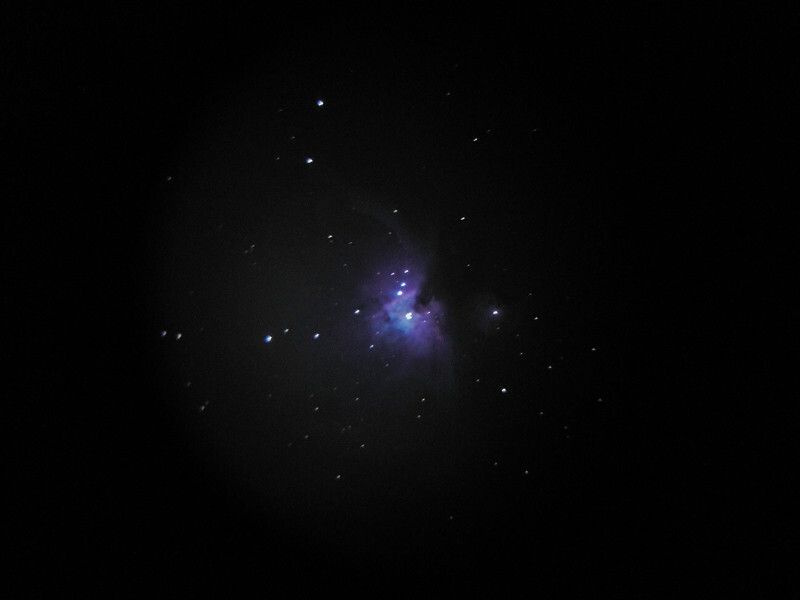 The telescope with locate any 3 bright objects in the sky and determine where it is, allowing you setup in a matter of minutes. Astronomy has never been so easy! 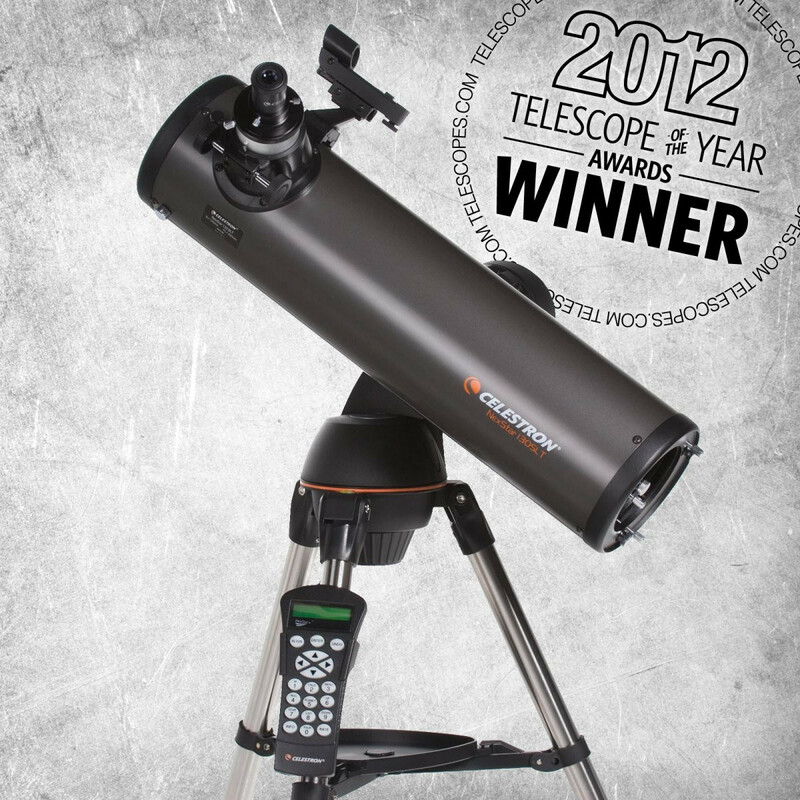 Highly recommended for first telescope with outstanding performance.